We will transform any park, parking lot, or grassy area into a day that will be remembered by all! You can mix and match items based on your group’s ages and interest. Our excellent customer service has our clients talking long after the event has ended. We will make you look good and we will bring the fun! The best part is you can go ahead and enjoy the day. Please email Fun1 Entertainment Services today at info@fun1.com for your personal quote. 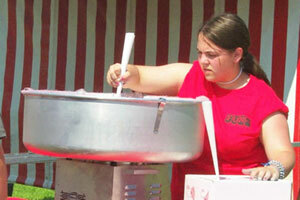 Your midway carnival games will be the core of your event. We have nearly 50 carnival game rentals to choose from! Our carnival games are professional and field proven to ensure hours of non-stop amusement for guests of all ages. Red and white striped steel booths and frames will house the games to give it that festive appearance. All supplies for each game and a covered table give a sharp, clean presentation. With thousands of prizes available, prizes are awarded to all players – win or lose. It is a perfect addition to your day, and a great keepsake. 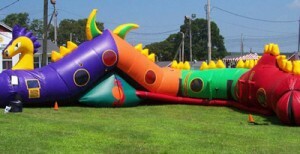 All of the inflatables, bounce houses, moon bounces, and interactive equipment you could ever think of. There is something for everyone! We mean business! Fun1 Entertainment Services staffs the event entirely down to an onsite supervisor, so that you can actually take part in and enjoy your day. You can take all the credit, we don’t mind at all! Now your only job is to email us, or call 518-885-4377, and we’ll take care of the rest. Fun…it’s contagious. Go catch some!